The Mercedes Sprinter is a popular and reliable panel van, chassis cab and minibus. Launched in 1995 to replace the Mercedes T1 van. 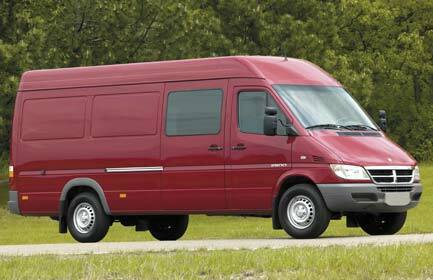 The Sprinter is sold throughout the world, and has become the most popular new van. The Sprinter is available with 4 and 6 cylinder diesel and petrol engines, and even a electric hybrid edition. The most powerful diesel option offers 184bhp, which results in a very quick vehicle. Sprinter vans are very reliable and normally last a long time. There are examples that have done 200,000 miles and look and drive like new. Klaus Schade has done more than 900,000 kms in his Sprinter without a breakdown! That’s 22 times around the world! Mercedes Sprinter panel vans come in a short, medium and long wheel base format. Medium and high-top heights are available. There is no low-top version. Instead Mercedes offer the Vito van. Sprinter’s make an excellent base for any camper van or motor home. Self builder particularly like Mercedes vehicles for their build quality and reliability. If you want to add swivel seats to your cab you have a couple of options. You can make the divers seat swivel by buying an appropriate swivel plate that bolts in between the seat and the box. When the seat is pushed all the way back it can then be turned to face backwards. You have to let the handbrake off to let the seat rotate through, then re-apply the handbrake. It is also possible to take apart the handbrake handle and shorten it so that you don’t have to let it off each time. A single passenger seat can be made to swivel with the same type of plate, it just turns the other way, as you always want the seats to rotate to the inside. If you are struggling to find a passenger seat then buy a drivers seat from a van that is being broken. The two front seats from a Ford Galaxy apparently fit a Sprinter. They have arm rests on one side ans swivel. Look around at your local breakers to find a pair. T1N – use of the wrong gearbox oil can make for difficult gear shifting when running cold. Mercedes recommend buying the oil from them, of cours. However a Mercedes engineer has also recommended “castrol 75/85 synthictic oil” for the gearbox g32 (711620). 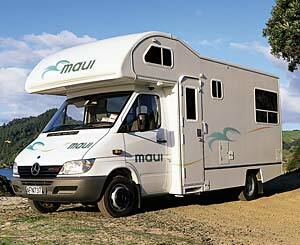 The Sprinter chassis cab is a very popular base for motorhomes. Yahoo Sprinter Group – lots of files available for download. Mercedes VIN Decoder – Find out information about your Mercedes just from the VIN number. Also allows you to determine the paint code. Will a drivers seat base fit into the space of the passenger seat? I have just bought an ambulance which has already been converted to a 2 berth camper. It only has 2 seats in the front – driver & 1 passenger, to allow for a gap so you can walk from the cab to the van. I would like to know if I can install a twin passenger seat and belt safely in the cab as I have a teenage son who will travel with us and sleep in the awning. You can easily add the twin seat. Most people are swapping their twin for a single, so you may be able to do a swap with someone via eBay, etc. The twin seat has the extra seat belt integrated into the base. So you only need to change the seat and base, the seat belt comes with the seat base. Do you happen to know if a twin seat from a 312 will fit a 412? Almost certainly as all Sprinters (of the same year) use the same seats. I have found this one. Nervous though as it has the double base unit and I’m not sure how it will fix securely. Also, it’s a long way from Manchester! All Sprinters have the bolt mountings for both single and twin seats. when you remove the single you should expose the spaces for the double seat bolts. The top sits and bolts to the base, so quite easy to fit the base. love the site! thanks for the great resource and wealth of info. I have a sprinter panel van which i have converted myself and I wandering if I should insure it as a panel van or a campervan. What makes a panel van no longer a camper? Mine is basic, just a bed and cupboards, no plumbed gas or running water so I presume this still comes under panel van. When insuring as a campervan the insurance companies ask for things to be inspected, to ensure you have a proper bed, cupboards, water tanks, etc. It sounds like you don’t have all of these things, so panel van insurance is the best option I think. Glad the site has helped you. Please do send the pics. I am planning to convert a sprinter this winter . We are “2adults with 4 kids . My idea is to fix a couple of mercedes marcopolos style pop ups on a long wheel base sprintervan (cargo length 4.7 meters), and a fixed double in the van. Thus leaving much more space downstairs for comfy seating and kitchen. any thoughts ? I assume you want the pop-tops to sleep the children? The only reason I can see that this isn’t possible, is that you would loose a lot of the rigidity of the vehicle if you cut out large sections of the roof to fit the pop-tops. If you could all steel bars around the pop-top apertures you could keep some of the rigidity. Have you also considered the extra-high-roof vans? They would allow you to have full standing height inside, as well as permanent beds inside the roof area. I would love to do a conversion on a diesel sprinter. Would like 4 bunks and small bathroom. Anyone ver see a setup like that on the market? the sprinter forum has some pics of sprinters with fold up bunk beds, I have not seen one with a bathroom.